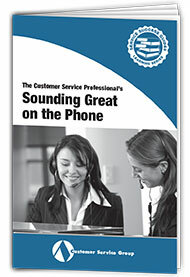 The quality of a service professional’s voice sets the tone for each customer conversation. The well trained voice will sound confident, trustworthy, interested, and likable, and will smooth the way to a positive interaction. 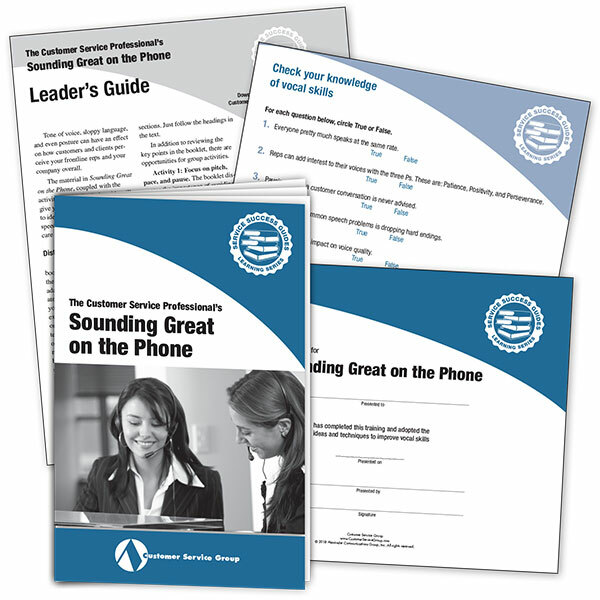 Now you can help your staff hone their vocal skills with this four part training package. 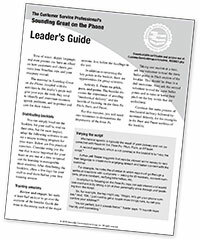 In a quick-reading and engaging tone, the training booklet will show reps how to identify and overcome common speech problems and protect and care for their voices. The first section focuses on identifying potential speech problems and presents a series of simple exercises for improvement. Reps will learn to modify their rate of speech to better match the customer’s; to avoid mechanical delivery by focusing on the three Ps — Pitch, Pace, and Pause; and to avoid mumbling, slurring, and poor enunciation. The second section focuses on the physical causes of speech problems and provides tips for warming up and cooling down, caring for the voice, and improving voice tone with good posture. The quality of a service professional’s voice can set the tone for an entire conversation. Your voice quite literally speaks volumes about who you are. It can make others view you as decisive, confident, trustworthy, assured, and likable. Or on the other hand, a problem voice can make you seem insecure, weak, uncaring, and even dishonest. The importance of voice quality becomes strikingly clear when you consider the components of effective communication. Experts agree that body language accounts for more than half (around 55 percent) of communication; vocal tone is about 38 percent; and words, only about seven percent. So when you are communicating over the phone, you need to convey that you are decisive, confident, trustworthy, assured, and likable all without the aid of body language. That’s a tall order, but in the following pages, you’ll learn how to improve voice quality by overcoming the most common speech problems and keeping your voice in peak condition. The section on avoiding mumbling, slurring, and poor enunciation, also mentions that this can be due to regional variations in pronunciation. Lifelong speech habits can be very difficult to change, and some would argue that our regional differences add to vocal interest. However, it is important that reps be aware of local pronunciations that may be unclear to customers from other areas. For example, the sweet, buttery candy called caramel might be pronounced as “car-ml” (with two syllables) in most of the country while on the east coast and in many southern states it is known as a “carr-a-mel” with three syllables. There may be words that are used in your industry with similar variations. Discussing these with reps will prepare them when a customer asks them to repeat what they thought they said very clearly. The booklet also offers a seven step exercise for keeping the “vocal mechanism” relaxed. Ask the entire team to turn to page 7 and to move through the six steps as you read them aloud. Remind your team that this is a good way to keep their vocal mechanism loose and to reduce tension throughout the day. 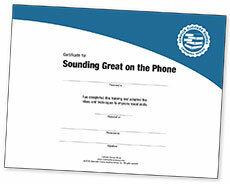 Sounding Great on the Phone is guaranteed. 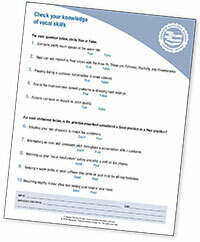 We want you and your reps to use this valuable resource and put its ideas to work in your department. Then, if you are not 100% satisfied, you may return your materials within 30 days for a full refund.